Iso Enamel is The Albion Bath Company's unique self reinforced, acrylic free cast stone resin and mineral mixture. The material is wet cast into a mould with a chemical glaze applied which results in a product that is one solid piece that cannot be split unlike Cast Iron Enamel Baths or many other Cast Stone Resin Baths which have an Acrylic 'skin' which can split and separate over time. 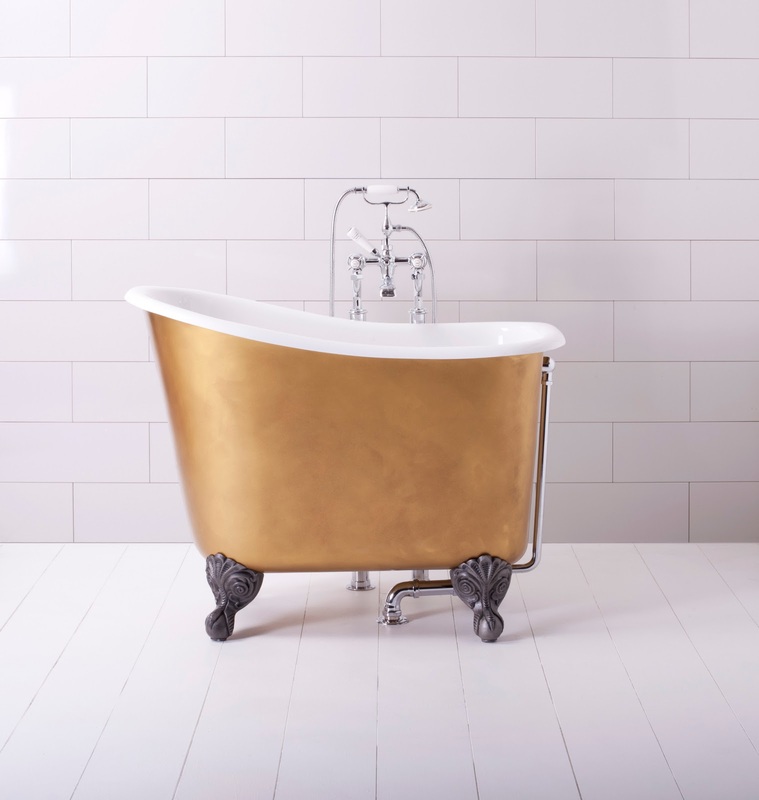 This process allows The Albion Bath Company to achieve the closest match to original Cast Iron Bath Tubs, in look and feel, that money can buy, without any of the inherent downfalls associated with Cast Iron Enamel Baths. These downfalls predominately being, excessive weight, many homeowners have had to reinforce floors within their property just to get a Cast Iron bath in and that doesn't include the sheer issue of getting the bath tub into the property in the first place, back breaking work indeed! Secondly, Cast Iron Bath Tubs draw out the heat from the bath water very quickly resulting in many users having to constantly 'top up' their bath with hot water during their soak. Another problem commonly associated with Cast Iron Baths is the inability to use day to day household cleaners on them without damaging or discolouring the enamel surface, not very practical in a busy household! Albion have successfully strived to ensure all of these downfalls do not exist with their Iso Enamel Material, instead, an Albion Iso Enamel Bath tub will give you the luxurious feel and look of an original Cast Iron Bath Tub but at a 1/3 of the weight of an equivalent sized Cast Iron Bath. Therefore, no need to reinforce floors, even with Albion's heaviest Aegean bath at approx 220kg, a like for like fire clay bath would be approx 450kg! As a general rule, Albion Roll Top Bath Tubs range from 47kg to 81kg and Bull Nose Fire Clay Baths from 92kg to 220kg, not too bad considering the appealing design and practicality issues it conquers. Also, Albion's Iso Enamel Material actually insulates the bath water for approximately an hour longer compared to Cast Iron Baths, so no more topping up the hot water. All cleaners, even limescale removers, can be used on Albion's Iso Enamel material with no fear of damaging or discolouring the surface. Another benefit is all of Albion's Roll Top Bath Tubs can be finished on the exterior in a colour of your choice, so you can fully customise your bath to your bathroom design. Not only can you benefit from Albion's unique material via their bath tubs but also their shower trays, allowing you to have all the benefits of Iso Enamel but in a stylish, low profile, self reinforced tray. Hopefully you'll agree that Albion have found and developed a niche in the market with their Iso Enamel Material. Why not give them a call on 01255 831605 for more details or visit their website www.albionbathco.com and request a brochure and start dreaming about your new bathroom!